The iPhone 5: Sensation or Slip-up? The new iPhone 5 came out on September 21st, much to the delight of Apple fans everywhere. The sixth generation of iPhone is 20% lighter, almost three tenths of an inch taller and 18% thinner than its predecessor, the iPhone 4S. Now, a little more than a year after the death of Steve Jobs, reactions to the new phone are mixed. 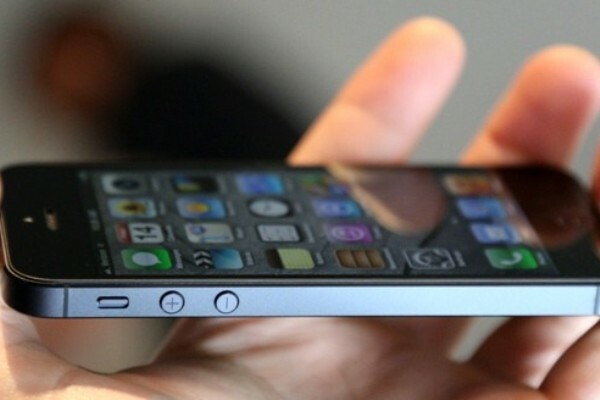 One of the biggest upsides to the iPhone 5 is that although the length of the screen is longer, the width remains unchanged, making it just as easy to hold. The longer screen also allows for six rows of apps per page, rather than five. Another improvement is the download speed. Users say that downloads are blazingly fast. However, many fans are up in arms about one new feature: Instead of using the same charger plug as all the other iPhones, the iPhone 5 uses a different plug design. Adapters that allow devices using the old design to hook up to the new one cost $29. One GFS seventh grader said: “I feel each iPhone has gotten better, but they didn’t need to change that specific aspect.” There have also been some complaints of purple splotches showing up on photos taken with the newer, smaller camera. One thing seems to be affecting everyone is the new version of the Maps app. Previous iPhones used an iPhone version of Google Maps while the iPhone 5 uses a new “Maps” app developed by Apple. The new app is so bad, it prompted Apple CEO Tim Cook to publicly apologize. In his letter of apology, Cook said: “We are extremely sorry for the frustration this has caused our customers and we are doing everything we can to make Maps better.” You can find his full letter online at http://www.apple.com/letter-from-tim-cook-on-maps. Even though there are downsides to the new phone such as mediocre maps, purple splotches showing up on pictures, and the new plug design, the enthusiasm for the latest addition to the iPhone family has certainly not been hampered.